You can learn a lot from ice cream if you pay attention. 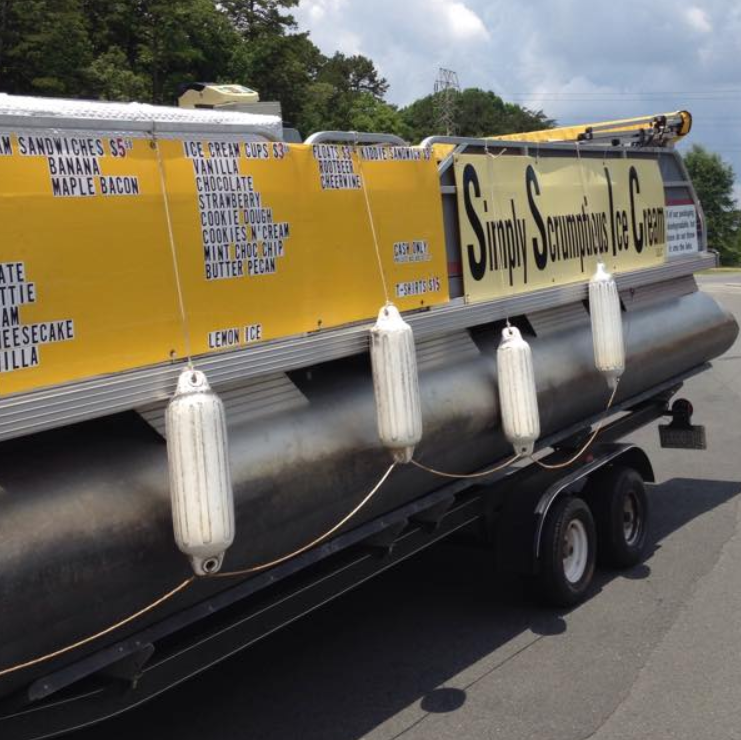 A few years ago, a brother-sister team launched the Simply Scrumptious Ice Cream Pontoon Boat on Lake Tillery. Its bright yellow bimini top matches the paneling which displays a rotating list of homemade ice creams, custards, and cookies. It really hits the spot on a hot summer day and “the ice cream boat” has quickly become a fan favorite of our grandchildren. Unfortunately for the grandkids, the floating ice cream parlor is typically stationed in an area of the lake we only visit when we’re heading to the Marina. So unless we were running low on gas, we never “happen” upon the pontoon. Everett (age 5): Do you think we should fill up the boat Peeps? Me (aka “Peeps”): I think a 3/4 tank is plenty. Finley (age 8): I don’t know…we don’t want to get stranded. Grayson (age 10): Yeah Peeps, don’t you say we should always be prepared? Me: You know, you’re right…we should. Hey, I wonder if the ice cream boat is out (wink). All three: We hadn’t even thought of that! We should check on them (three winks). In many ways, the new tax law is much more simple. For example, instead of itemizing deductions, the vast majority of filers will now simply use the increased standard deduction. But I realize that just by mentioning “deductions” I might have lost many of you. Well, the Wall Street Journal’s Tax Policy reporter Richard Rubin is here to save the day. 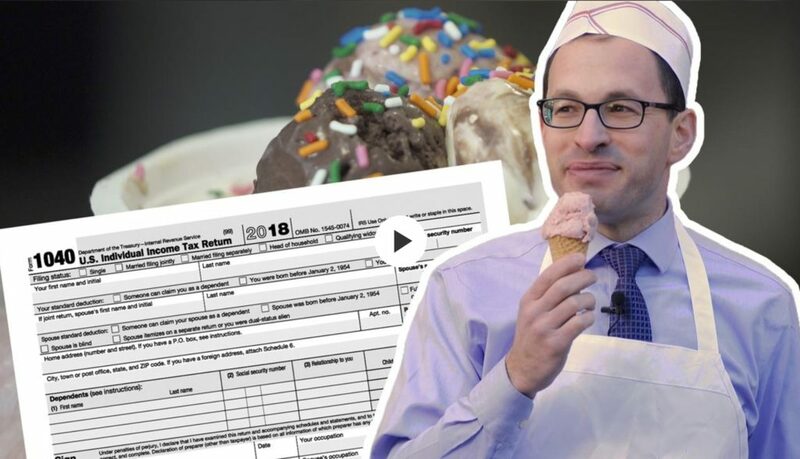 In a fabulously simple 5 minute video, (no WSJ subscription required) he explains most of the important aspects of the tax code and how it could alter your refund. Rubin also provides a more detailed accompanying article (which requires a WSJ subscription to read and is devoid of ice cream puns) for those of you who are…wait for it…lactose intolerant. 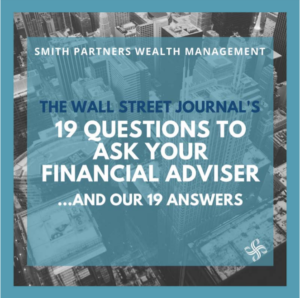 Let us know if we can help you understand and plan for how the new tax law will impact you. If needed, we can meet up at Ozzie’s Ice Cream.